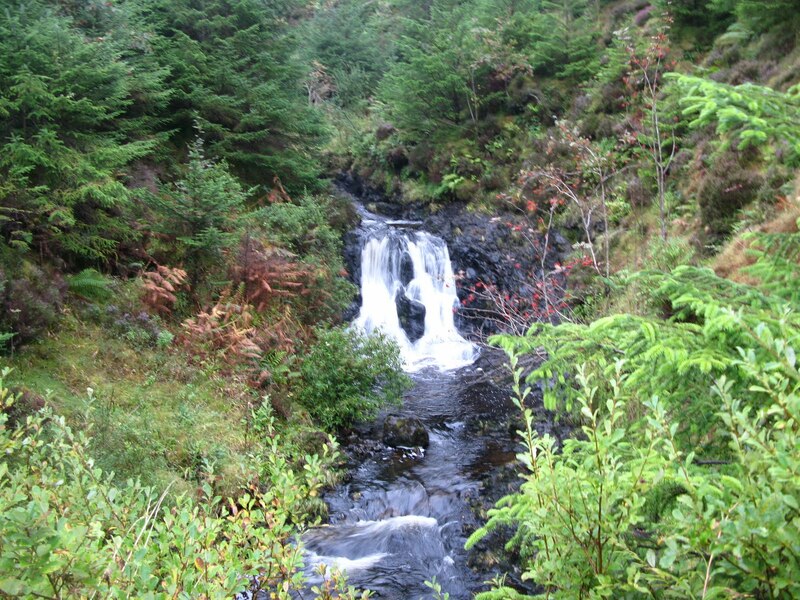 I recently experienced a rain-drenched week on the Isle of Skye, North-West Scotland. When the isle wasn’t being lashed with horizontal rain and gales, the sun occasionally peeped out and lit up the landscape, suffusing the harsh rocky crags of the hills and blue lochs in a golden shimmering light. We spent a fair portion of our time braving the outdoors and getting soaked to the bone; the rest of the time, we devoted ourselves wholly to the task of staying warm, and eating and drinking as much as possible, which is what holidays are all about. 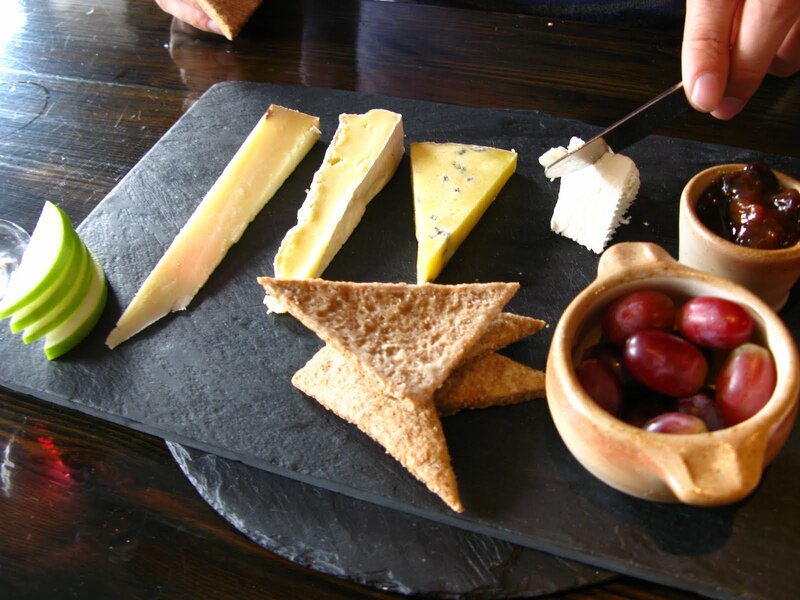 I was pleasantly surprised at how easy it was to get a delicious meal on Skye, my experiences of Scottish grub being somewhat limited to deep-fried-everything-with-chips on frequent trips to Glasgow. (And it also helped that we were staying in a self-catering youth hostel, so that we didn’t have to eat out all the time). 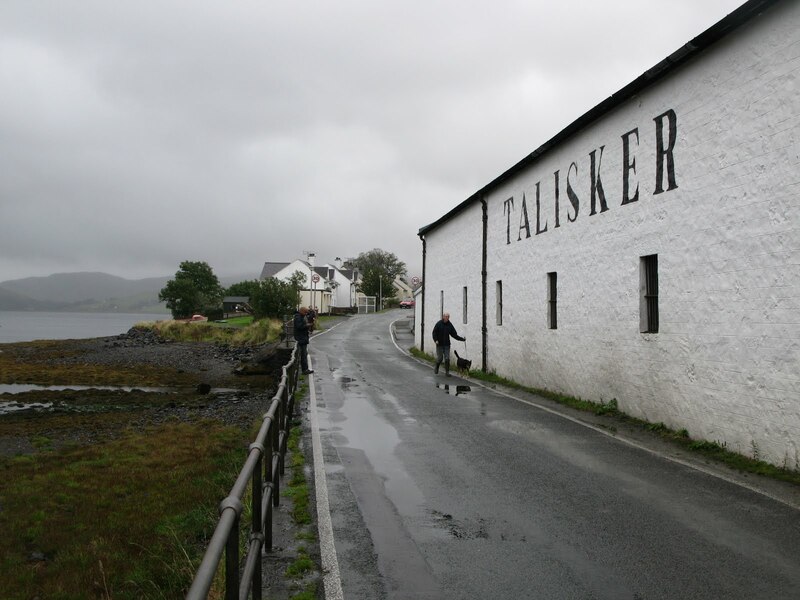 – A fascinating tour and free tipples at The Talisker Whisky Distillery, Carbost. The air outside the building smelt curiously of roast gammon, TCP and bread, and the polished copper distilling vats with their ceiling-high pipes made me think of Willy Wonka’s factory! 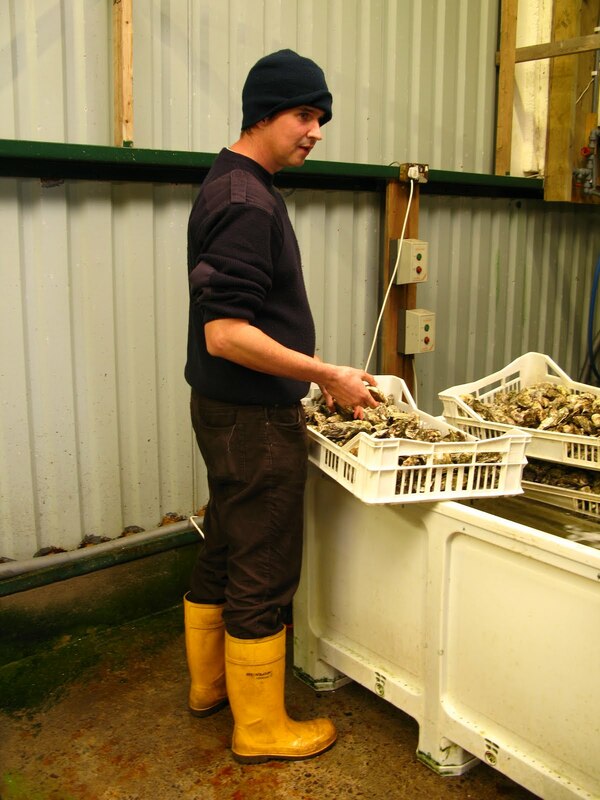 – Fresh oysters from Isle of Skye Oysters, Carbost. Paul the oyster man plucked fresh specimens out of a purification tank and cracked them open for us to try there and then – I have never eaten such delicious and fresh oysters in all my life. 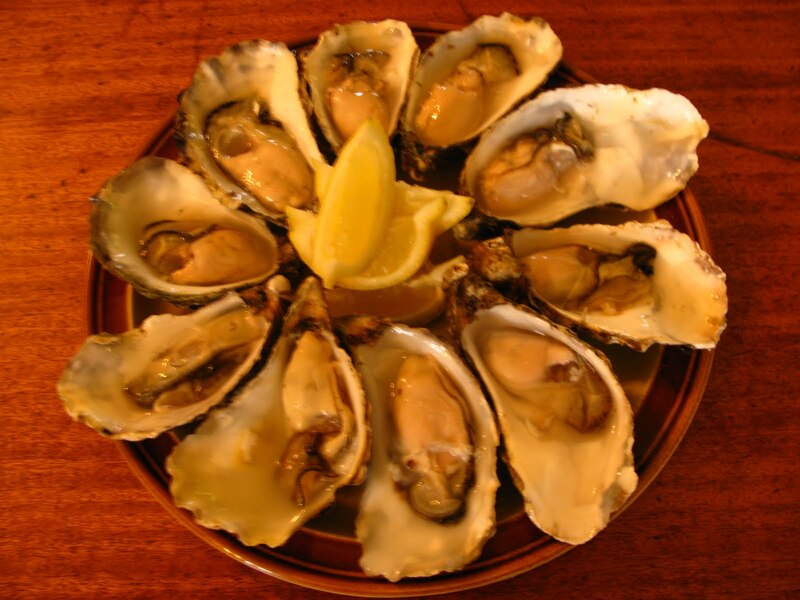 They were creamy, salty and briney – like a wave of sea water exploding in your mouth (in a good way). We added lemon juice and a few dabs of smoky chipotle chilli sauce, which took the experience ‘up to 11’! 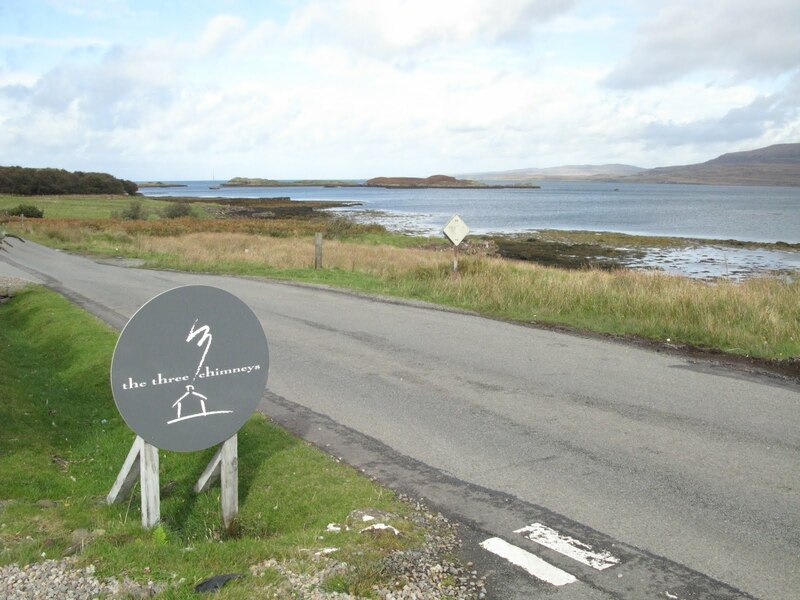 – An incredible gourmet lunch at The Three Chimneys, Colbost – a delightful restaurant in an old white stone cottage where they make delicious and complex dishes from local produce and present it with real wow factor. 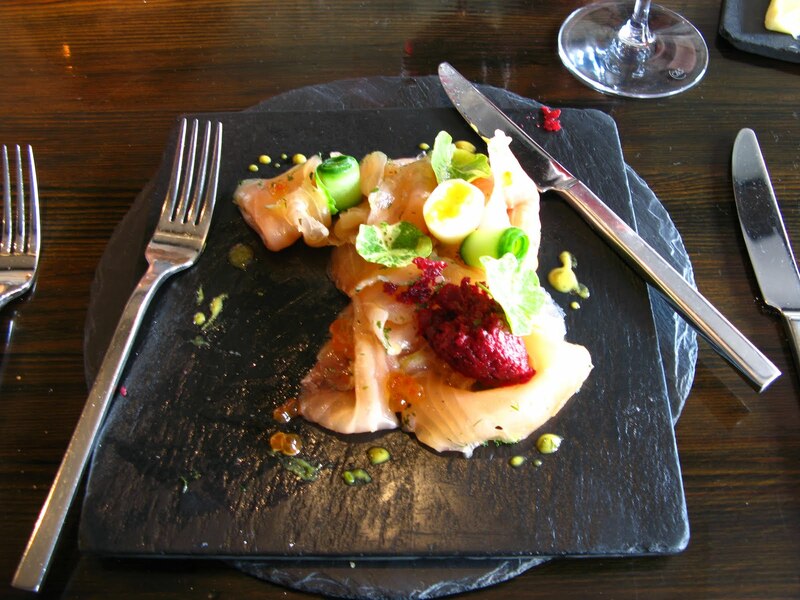 I have never eaten fish so good in a very long time. 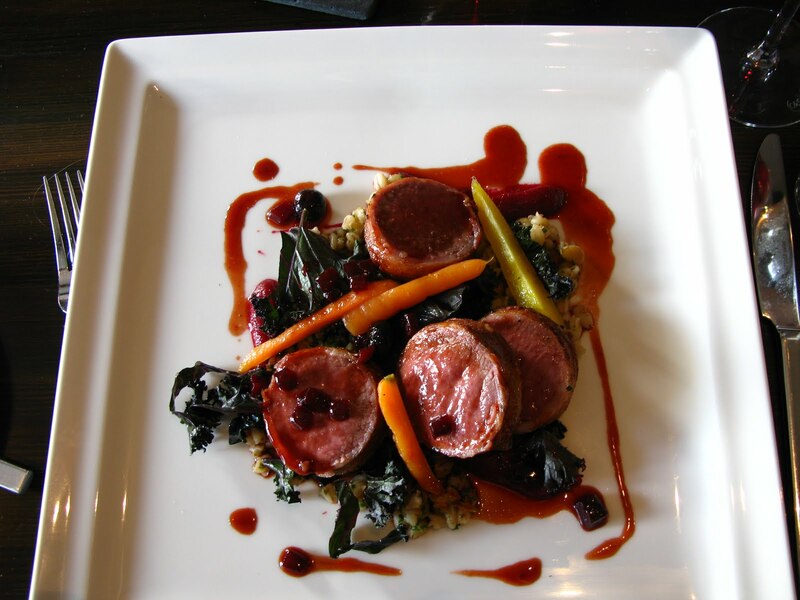 Despite being a real foodie magnet boasting uber-foodie credentials, the restaurant isn’t in any way stuck up and the staff are friendly and down-to-earth. 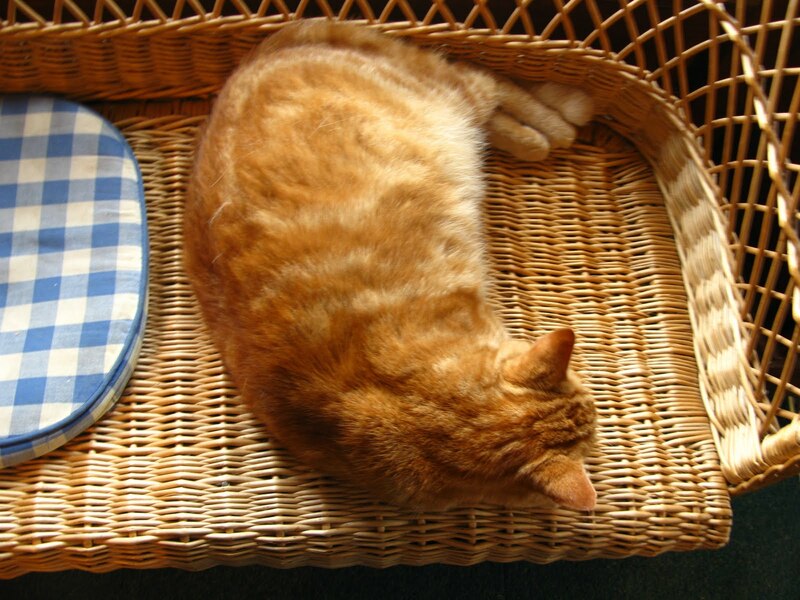 I recommend spending a long, lazy afternoon here when it’s (invariably) raining. 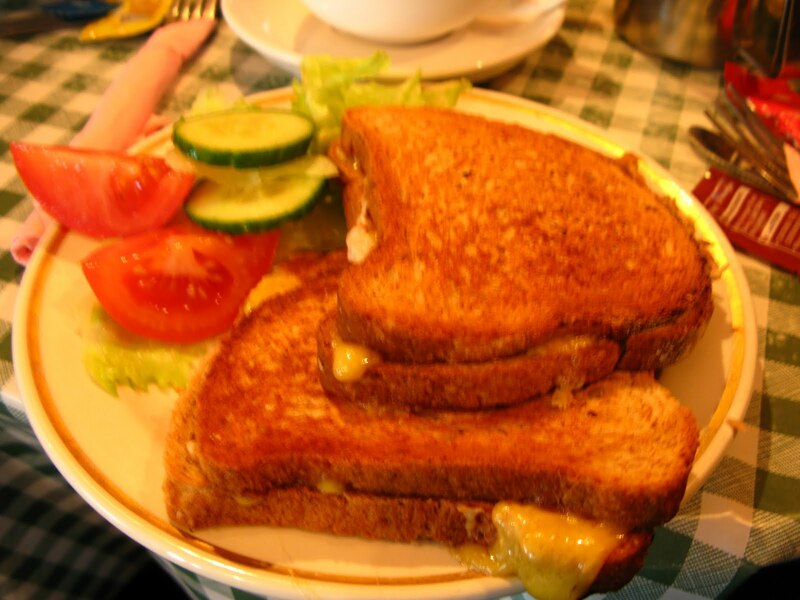 – On a more modest note, I enjoyed a very delicious tuna and cheddar toasted sarnie at The Isle of Skye Bakery, Dunvegan, where you can sit and stroke Zeus the resident cat and drink soul-restoring tea. Cheap and cosy, with cheery ladies running the joint. Oh – and the best chips I have ever eaten. Fact! So even though the rain did its best to dampen our spirits, nothing got in the way of our voracious appetites. And we were mightily pleased by everything we ate. This rank broth was watery and grey with no hint of creaminess (which is what chowder is all about), with overcooked miscellaneous fish scraps looming out of it. I almost retched when I tasted a piece of fish and discovered slimy fish skin hanging from it. And what are the orange things floating? Carrot peelings! 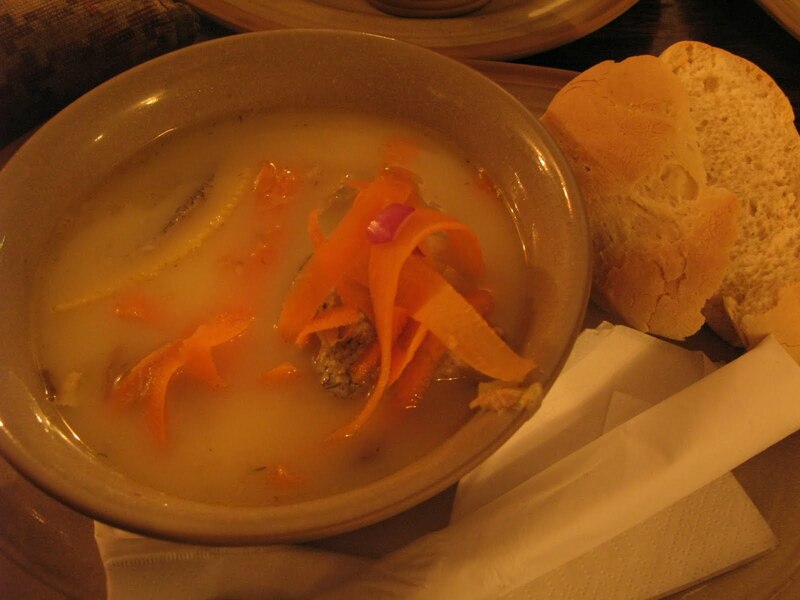 This might as well have been a fish stock that the chef threw all his scraps in – but the only thing that identified it as a ‘soup’ was a grey lump of potato lurking in the depths, and the sad slices of bread that accompanied the bowl. All in all, this was an insult to fish chowders the world over, for which I paid an eye-watering £6.50. Old Inn, damn your eyes! Thank God my pal O boosted our morale by cooking a wonderful spread of Pakistani curries back at the youth hostel in the evening – och aye brilliant!